Interactive Garment Workshop Series @ManufactureNY Starts Jan. 23rd #WearableWednesday « Adafruit Industries – Makers, hackers, artists, designers and engineers! Part 1: Participants will be introduced to various fashion tech designers and examine their work to understand their methodology to use different sensors in their designs. An introduction to electronics, basic circuitry and microcontrollers will be followed by a soldering workshop. Part 2: The second part will concentrate on learning about input and output systems for microcontrollers and how to read data from sensors. Different techniques will be shown including how to integrate interactive components into garments, how to select the best possible sensor to create reactive garments using LEDs and how to establish a simple but robust design pipeline to go from an idea to a functional garment prototype. With a choice of photocell or sound sensors, participants will design their own wearable technology piece with integrated circuitry. Part 3: The last part will be dedicated to conceptualization and execution. Participants will solder their custom circuits and construct their interactive wearable piece. Last but not least, there will be an in­-class “fashion tech runway show” to celebrate achievements! Birce has sent this video clip along of a project that will be shown in class–zippers can be fun! Expect to have fun and meet others with a similar curiosity about fashion and tech. This is your chance to make a dream outfit and show it off to your friends, so check out the details and sign up here. 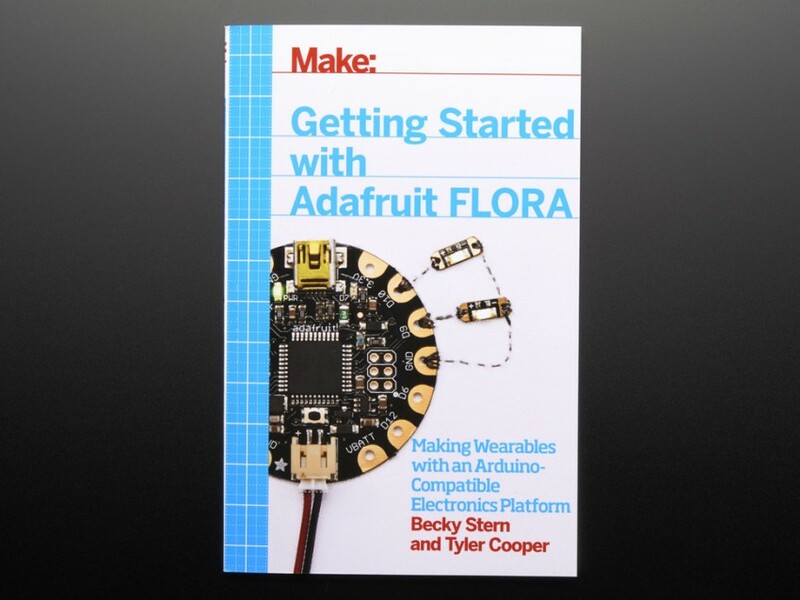 If you want to get a jump on the workshops, pick up our book Getting Started With Adafruit FLORA. It has a lot of great tips on integrating microcontrollers with sensors into clothing, and it is all easier than you might expect. Just do it!